Cheryl began her career in the financial services industry in 1980 with an area bank. She joined Lincoln Financial Advisors in 1987, where she served as Director of Financial and Insurance Operations for 17 years. Cheryl now serves as the Director of Operations and Compliance for Gilliam Mease Advisors. Cheryl is a graduate of Sullivan University. She is a licensed life and health insurance agent and maintains the FINRA Series 7 General Securities Representative, FINRA Series 24 Registered Securities Principal, FINRA Series 66 Uniform Combined State Law, and FINRA Series 51 Municipal Fund Securities Limited Principal licenses. She is also a Certified Retirement Counselor®. Cheryl was named the 2006 Assistant of Year by Securities America, Inc. and has served on Securities America’s Sales Assistant Advisory Board. 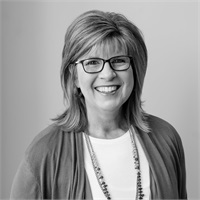 Cheryl is a Registered Principal with Securities America, Inc. She and her husband, Ken, reside in Depauw, Indiana with their two sons, Dylan and Chase. They are active members of their church and community.